Outlines ways The Kitchen Garden Teacher can engage with corporate businesses and public speaking events. In a school today there is a child who knows how to start a small business selling basil to the local Italian restaurant, why it is important to wash their hands in a kitchen class or how to create a potting mix for seed raising, understands a one-person or two-person lift or can research the bug found on the broccoli or make passata from the bountiful tomato harvest. Children actively engaged in kitchen and garden programs are learning practical skills making them work smart and work ready. How can your business or community organisation engage with these children? Children learn how to care for animals and understand where eggs come from by keeping chickens at school. What do we learn through the kitchen and garden? Students learn work-ready skills through kitchen cooking classes. 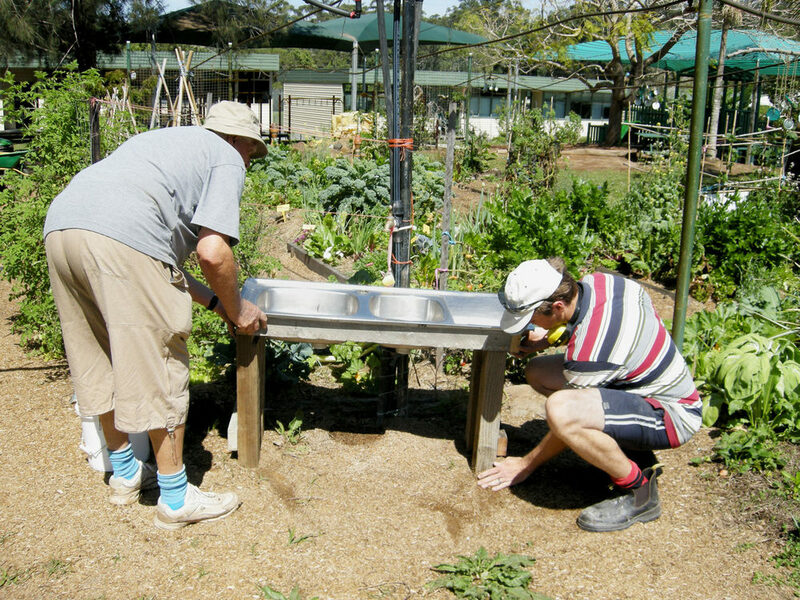 Volunteers are vital to the smooth running of a kitchen garden program. Some children have never looked through a microscope. Being out in the garden gives them the opportunity to see everyday objects in a new light. 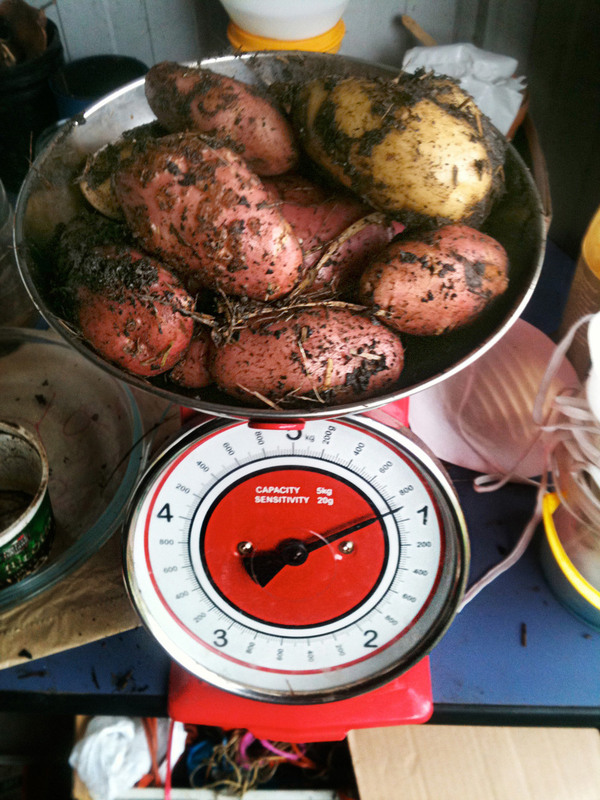 How many potatoes did we plant and how many did we harvest. Growing food teaches patience and maintenance. Certified organic businesses help children to grow nutritious and organic food. What knowledge will I need to be able to do catering? Successful catering requires a wide range of skills including time management, reading recipes, managing equipment, teamwork. This is true 'on the job learning' and I love it. Looking to build your social capital? School kitchens and gardens are interesting and topical with a global movement acknowledging the beneficial connection between health, fresh produce, hands-on outdoor learning and preparing meals from scratch. I can speak at your event or gathering to share the kitchen garden story and how we can all be part of that story. How children engage in activities, how their adult helpers also learn new skills and how being immersed in fresh seasonal food can connect us to family, friends and our broader communities. Experience a kitchen or a garden class the same way that thousands of children around Australia engage in their school kitchen and garden every week. 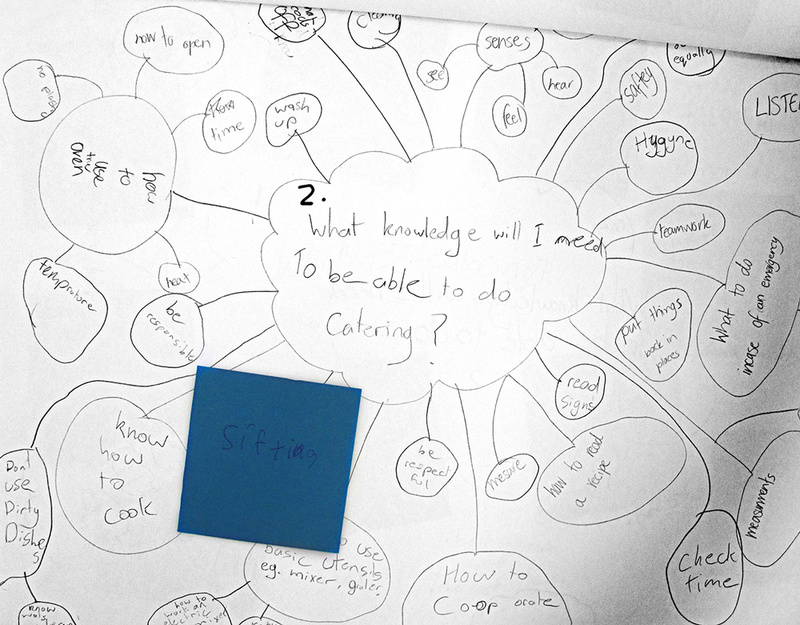 Workshops can be held in schools, at your premises or in community gardens. Please call me to discuss your event or workshop ideas. "I recently had the great joy of seeing and listening to Robyn’s wonderful presentation/talk at The Planting Festival. It was my favourite talk of any number of wonderful presentations that weekend. Not only was it educative and informative, but it was full of good practical common sense. Robyn is the ‘start from where you are’ kind of woman. It reminded all of us lucky enough to be there, of just how many resources we already have at our disposal; we just have to look around and notice the abundance, the surplus or the junk and make use of it. It may sound like an oxymoron but she is a practical anarchist; she thinks out of the all the geometric shapes. The best thing is though, she has a wicked sense of humour. When the great disruption happens, I want to be on her team. Do whatever it takes to track her down and ask her advice. She is bound to help you come up with a positive outcome and some delicious comestibles."